Severed+Said is a cold wave, dark wave, and ambient experimental synth band from Florida who formed in 2014, from the looks of things. Severed+Said play a self-described style of experimental cold wave and dark wave dubbed "tension groove", which is a pretty apt description for the band's sound as far as I'm concerned. Pyrrhic Fortunes is the band's debut five song cassette, which was released via Dead Tank and Popnihil records on July 15th, 2016. 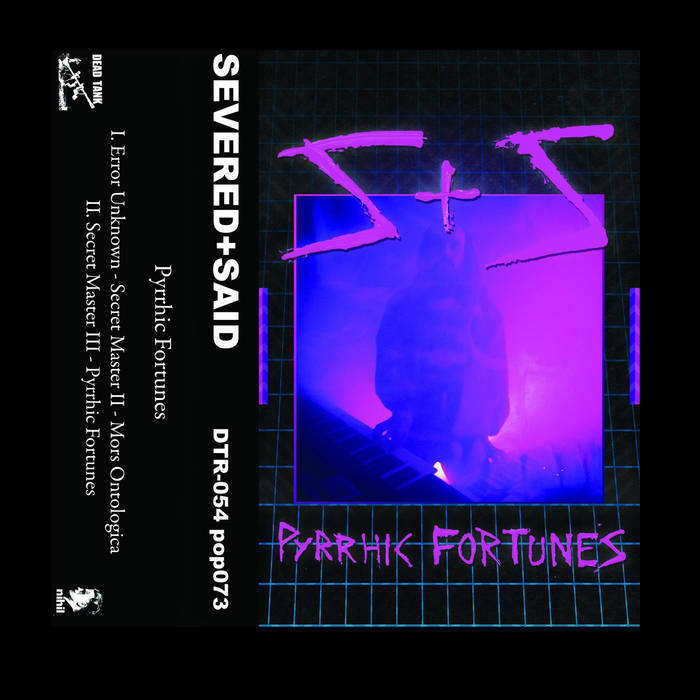 On Pyrrhic Fortunes, Severed+Said offer up five songs of dark, pulsating, and tense sounding instrumental synth driven cold wave and dark wave. Overall, Pyrrhic Fortunes makes for a killer listen. Great stuff! Enjoy!